Charnwood-Dunlop is implementing the Australian Curriculum (AC) as a foundation for successful, life-long 21st century learning and participation in the Australian community. We acknowledge that students needs and interests will vary. 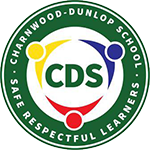 Therefore at Charnwood-Dunlop we plan from the curriculum in ways that respond to those needs and interests.